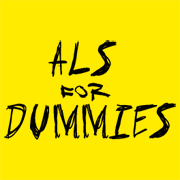 Appalled by the lack of information about the things to monitor when you are ill with ALS. I have already talked about it, but I thought it was good to make a whole blog post about it. 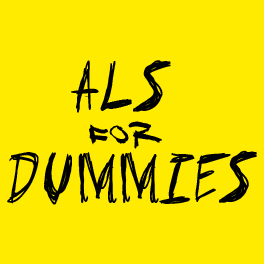 A quarterly, or even less, control at the regional ALS center is very lacking on monitoring the evolution of the disease. In particular if you are facing the fast evolving kind. We must change our way of doing things and be mindful of what our body tells us between two appointments. Some vital signs are very easy to monitor and will indicate a physiological dysfunction. This set of parameters are usually called constants. You must monitor or have them monitored – daily if necessary. You can talk about it to your nurses if they come daily, or you can monitor them with your close circle. The point is not to make this an anxiety-provoking moment, but to have a head start to be able to anticipate an issue. Pulse. It’s between 60 and 80 bpm when resting. Important and lasting variations must draw the attention of medical professionals. Body temperature. The disease can make us weaker in some cases, and therefore more sensitive to infections. Body temperature can give us a warning. Blood oxygen saturation. This parameter is of major importance for us, as we must closely monitor the proper functioning of our respiratory system. The point is not to self-medicate, but to establish a serious monitoring system with the goal of alerting medical professionals if needed. If you note an important and lasting variation of these parameters, reach out for them as soon as possible. Do not hesitate to talk about the steps to be followed to your primary care physician depending on the emergency of the case. Behind the monitoring of your vitals lies the fear of an acute complication, or an insidious one such as pulmonary embolism, with sometimes typical signs: stitch, cough, hemoptysis, major anxiety, noticeable thrombosis, and sometimes more discreet signs: slight acceleration of your pulse and/or your breath (when not on a ventilator), fear without any obvious cause, slight fever, pain in a calf, moderate desaturation. That’s why you must not hesitate to take medical advice: pulmonary embolism can threaten survival pretty quickly. A saturation drop under 93% must be considered as a potentially life-threatening emergency as well. Note that a pulse oximeter cannot notice carbon monoxide (CO) intoxications. For that, you have to undertake an arterial blood gas (ABG), which is an arterial blood sampling. Get equipped: for about 50€, you’ll have all the apparatus you’ll need to monitor those signs. In my case, I bought everything through Amazon and am very happy with it. I don’t take them everyday anymore as I have a tracheostomy and my vital signs are constant. But I would have avoided a lot of inconveniences if I had been wary enough before my trach. Those devices are very easy to use, you just need to know how to read. Do not hesitate to talk about it, ask for advice.